Background: Dombrowski was a No. 1 draft pick of the Saints out of Virginia, the sixth pick overall in 1986. He did not disappoint. As always solid, consistent and perhaps underappreciated, Dombrowski ranks 11th all-time in franchise history with 151 games played, including 137 starts. 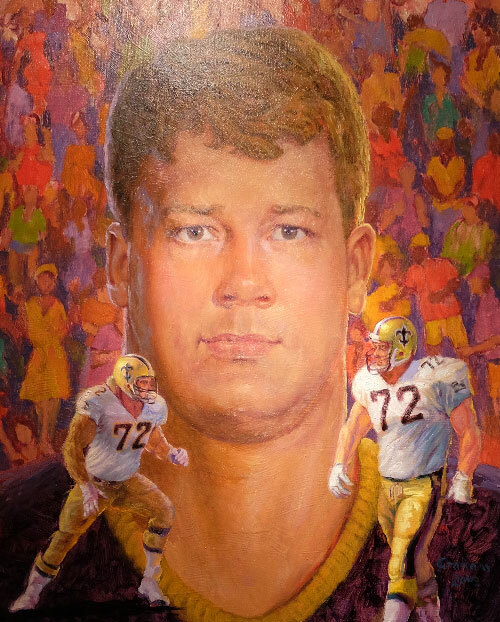 He was versatile, playing left tackle in his first three seasons before moving to his permanent and best position at left guard in 1989 and remained there until his retirement following the 1996 season. 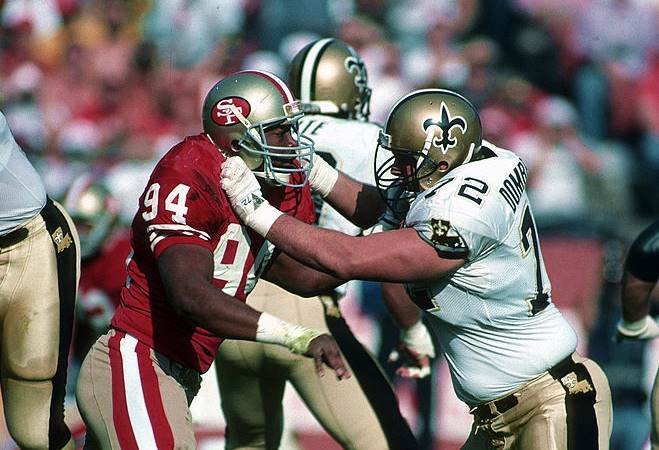 Dombrowski was a big part of the first real success of the New Orleans Saints, a starter on four playoff teams (1987, 1990, 1991, 1992) under Jim Mora. Dombrowski was durable, playing in all 16 games in eight of his 11 seasons with New Orleans. Greatest Moment: For Dombrowski, two moments stood out. "Our first-ever playoff game in 1987 against the Vikings was special," Dombrowski said. "The atmosphere and the excitement was amazing, at least at the start of the game. The second half didn't go so well. The atmosphere in the 'Dome was electric." As for his greatest moment in a win, Dombrowski cites an emotional return to his hometown. "The late December game in Buffalo on Dec. 10, 1989 when a southern, indoor team went north in the ice and snow and beat the Bills 22-19. Being from Buffalo made it a very special moment for me. Very few people thought we could win in such conditions." Honors: Dombrowski was inducted into the Saints Hall of Fame in 2003. He was inducted into the College Football Hall of Fame in 2008 and the Greater Buffalo Sports Hall of Fame in 2009. Dombrowski was also voted into the National Polish-American Sports Hall of Fame.